The Gold Bar cut lighted seared and glazed in soy, accompanied by Romanesco broccolis, potatoes, salted carrots and sweet ginger. Chivas’ fine whiskies served at the dinner. FINE dining restaurant The Olive at Resorts World Genting recently hosted “The Chivas Dinner” where dishes were paired with Chivas’ fine whiskies. The main highlight was the Gold Bar, the most tender and sought-after cut deep within the body of the Miyazaki beef. It is so sumptuous many aficionados are known to enjoy it raw. However, during the dinner, the Gold Bar cut was lighted seared and glazed in soy, accompanied by Romanesco broccolis, potatoes, salted carrots and sweet ginger. The Gold Bar Miyazaki beef reflects the terroir of its terrain — the pristine Nishinoharu farm in the Miyazaki prefecture — making it an ideal pairing with the Chivas Regal Extra with deep aromatic flavours. We also enjoyed the chef’s creation — amuse bouche, served as a starter and paired with Chivas Regal 12 Year Old. It also prepared us for the appetiser’s earthy flavours of celeriac, chanterelle mushrooms and onion jus, served together with a dram of Chivas Mizunara — a unique blend matured in Japanese Mizunara oak casks that imparts a lovely oriental woody incense flavour to the whisky, described as “kara” by the Japanese. The essence of the soil and forest continues in the soup dish of curried parsnip that came with apple puree, parsnip chips and wasabi cress — a smooth accompaniment to the exceptionally complex flavours of Chivas Regal Extra, matured in Spanish Oloroso sherry casks at the world’s oldest operational Highland whisky distillery, Strathisla. 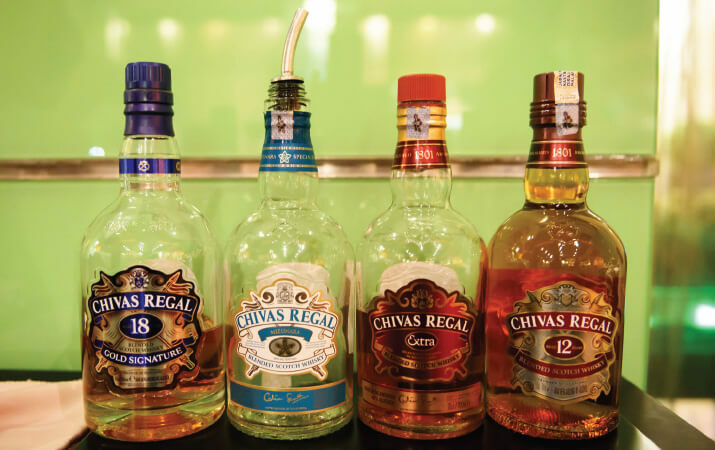 Chivas Regal Extra — a recent addition to the Chivas family in 2015, with notes of oaks, herbs, syrup and apricot — made a second appearance during the dinner at The Olive. As the only “official Miyazaki restaurant” in Malaysia, The Olive offers the beef considered by the Japanese to be the finest in their land, and by proxy, the world: Miyazaki wagyu. The rich dinner concluded with a decadent berry tartlet with coconut chocolate ganache and cigar-flavoured ice cream — a smokey accompaniment to the buttery toffee and dark chocolate essence of Chivas Regas 18 Year Old. 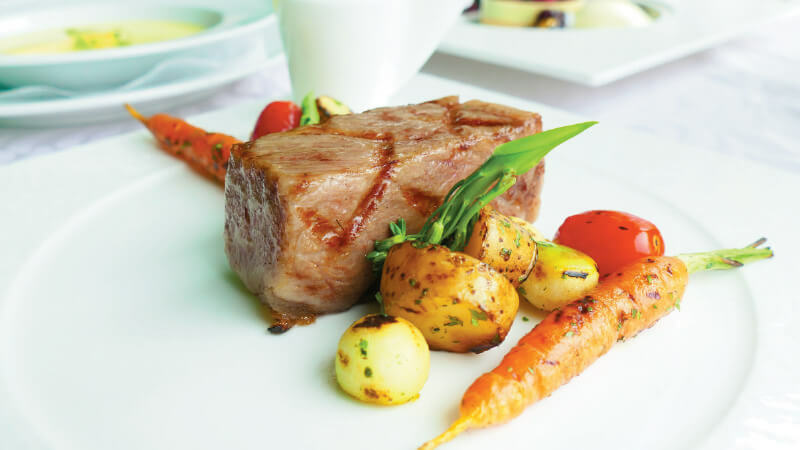 The Gold Bar Miyazaki wagyu is part of the a la carte menu at RM650 net per 100gm.